In a study titled The Cost of Cybercrime, Accenture surveyed 254 companies in seven countries. Over the course of five years, the study revealed a 62 per cent increase in cybercrime attacks. Data breaches during the same period doubled to 130 per year. Accenture noted that while not every security breach results in a loss, the two most costly types of breaches (malware and web-based attacks) can take days (up to 23 days in the case of ransomware) to resolve and cost firms over $2 million per incident on average. 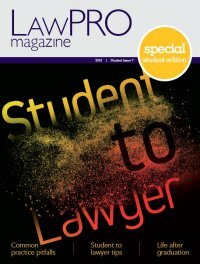 LAWPRO first suggested that lawyers consider cyber insurance in the December 2013 issue of LAWPRO Magazine. In the article Cyber Risk Options: Do You Have the Coverage You Need? firms were advised that their general liability insurance policies (intended to cover bodily injury and property damage scenarios) may offer only a limited amount of coverage for cyber-related exposures. These policies were not designed to cover loss of data or a breach of a law firm network. According to Integro Insurance Brokers of Toronto, 10 years ago there was almost no familiarity with or interest in cyber insurance. Now, despite widespread awareness of the risks, many firms still feel their own IT departments can handle cyber dangers. In light of recent high profile security breaches, demand for cyber insurance has grown ‘exponentially.’ From 2015 to 2016, the Risk Management Society’s worldwide Cyber Survey found a 30 per cent increase in companies procuring stand-alone cyber insurance. The numbers in Canada may not be quite as high. 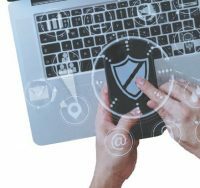 According to a 2017 FICO-sponsored survey of 350 international organizations (including Canadian law firms) 36 per cent of polled Canadian companies have no cybersecurity insurance. Of those that do, less than 20 per cent believe that the insurance will cover all cyber risks. Some breaches happen at the technology front end: through email, laptops, mobile devices, and desktops. Many hackers find these to be the a firm’s weakest link because they depend on employees’ diligence in following proper security procedures. Other breaches target the back end of a firm’s IT network: storage, servers, backup systems, and wireless encryption. In addition, new security problems may soon emerge in the context of the internet of things, increased cloud computing, and the constant expansion of social media. Hackers are continually adapting their methods to new technologies. Visit practicepro.ca/cyber to read more about the cyber dangers targeting law firms. Coverage can also include both first-party losses (losses suffered directly by the firm that purchases the policy) and third-party losses (losses suffered by a firm’s clients as a result of a breach). It can be made available for scenarios in which the cause of the incident is internal (staff or lawyer at the firm) or external hackers. Why aren’t more companies buying cyber coverage? Integro states that some of the barriers to wider uptake of cyber insurance policies include confusion around how cyber insurance premiums are set, difficulties in adapting traditional insurance policy language to modern cyber threats, and a lack of data and loss history to make reliable actuarial calculations. investment of time and effort at the outset to get as much clarification as possible when comparing policies from different insurers. If your Ontario firm has not yet explored cybersecurity coverage options, we urge you to do so. The cost of a cyber-breach goes beyond the financial losses of stolen funds, damage to equipment and lost income. There is also the damage to a firm’s reputation and the loss of confidence of its clients. With many insurers now offering cyber risk policies, firms have many options to tailor a policy to their specific needs. Tim Lemieux is Claims Prevention & Stakeholder Relations Coordinator at LAWPRO.